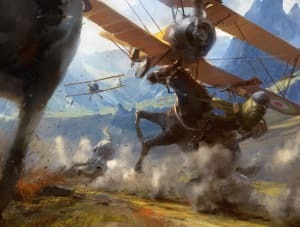 Battlefield 1 is a first person shooter game in the Battlefield-series, made by EA DICE in Stockholm and first released Fall 2016. 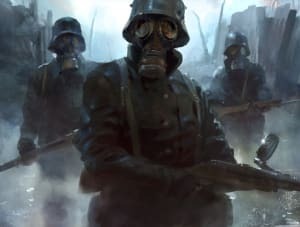 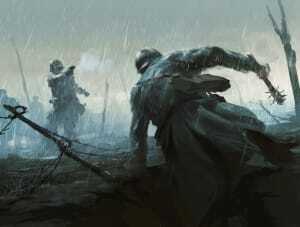 The game is set in World War I, allowing for both gritty details from the gruesome fighting in that war, but also weapons and fighting styles that are as far apart as aiming flame throwers at tanks, and hitting soldiers with shovels. 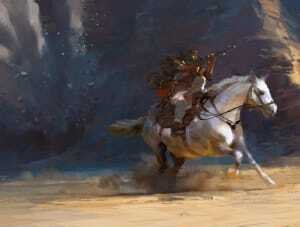 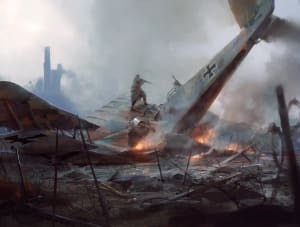 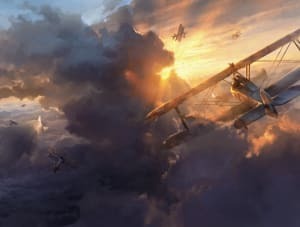 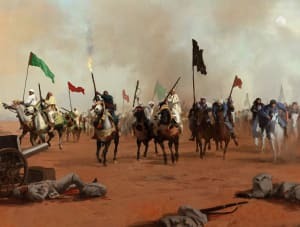 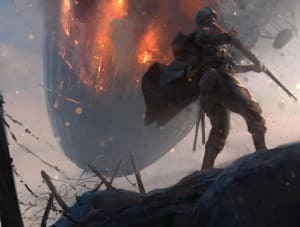 Visually, the game takes its cues from a wide range of media: WWI-era photographs and film, but also post-war romanticized paintings, or the Lawrence of Arabia movie.